Whittier, CA – One by one, seventh-grade students of Desiree Chavez’s math class at Los Nietos Middle School eagerly walked to the front of the room to receive their brand-new Google Chromebook laptops. Similar scenes played out throughout the Los Nietos School District on Aug. 14 as about 1,700 students kicked off the 2017-18 school year with new educational tools. Los Nietos has increased access to technology this year after the District purchased laptops to reach a 1-to-1 ratio of students to personal devices in grades three through eight. Elementary students are scheduled to receive their laptops next month. The technology upgrades were funded by the $13 million Measure N that approved by Los Nietos voters in November 2014. Students of Los Nietos Middle School also returned to remodeled classrooms as the school undergoes a modernization project that will improve all building structures by 2018. The updated features include new carpeting, faster wireless internet service and tackable wall panels for interactive lesson plans. A soon-to-be completed science, technology, engineering, arts and mathematics (STEAM) lab will feature 3-D printers and microscopes for class experiments. Students and educators throughout the District got a jumpstart on the school year through summer programs. Select scholars from all four Los Nietos schools took part in a four-week enrichment program that provided engineering instruction in June. The District’s staff, meanwhile, began training for the third and final year of the Safe and Civil Schools program, which implements a discipline system that reinforces positive behavior. Rancho Santa Gertrudes Elementary celebrated its first day by unveiling its Battle of the Books trophy, which it earned during a May competition. The trophy was displayed on the school’s front lawn. Aeolian and Ada S. Nelson elementary schools welcomed back standout educators, including 20-year Nelson teacher Sonia De Anda, who was named the District’s 2017 Teacher of the Year in June. 081817_LOSNIETOS_FIRSTDAY1: Students of Los Nietos returned to school Aug. 14 with new Google Chromebooks after the District purchased laptops to reach a 1-to-1 ratio of students to personal devices in grades three through eight. 081817_LOSNIETOS_FIRSTDAY2: The Los Nietos School District’s staff began training for the third and final year of the Safe and Civil Schools program, which implements a discipline system that reinforces positive behavior. 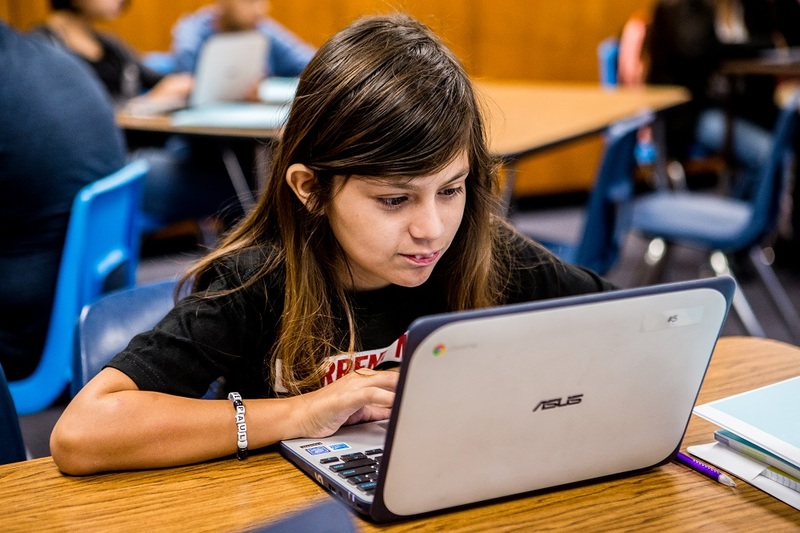 Students of Los Nietos returned to school Aug. 14 with new Google Chromebooks after the District purchased laptops to reach a 1-to-1 ratio of students to personal devices in grades three through eight. 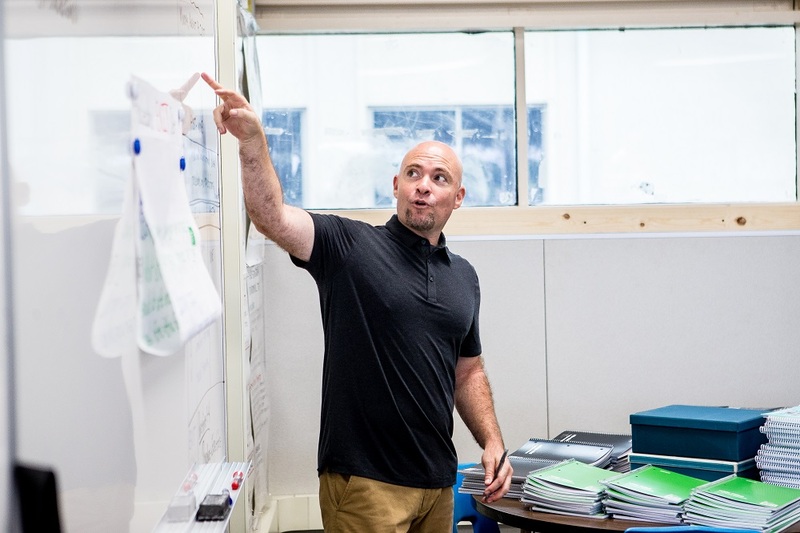 The Los Nietos School District’s staff began training for the third and final year of the Safe and Civil Schools program, which implements a discipline system that reinforces positive behavior.